A rectangular wrist rest carved from a section of bamboo. The curved, convex surface is engraved with an inscription of 14 Chinese characters in seal script, and 15 smaller characters in semi-cursive script. 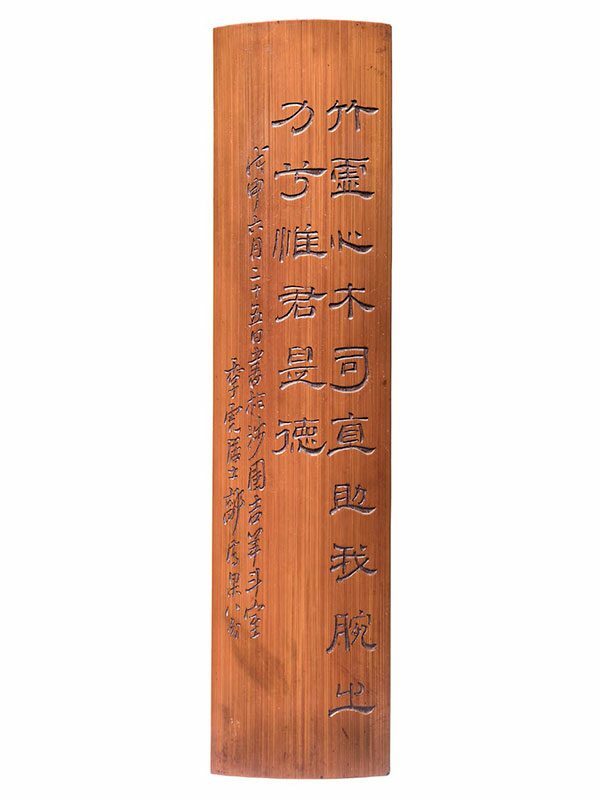 The inscription mentions that this piece was carved and inscribed by a scholar on the 25th June of the Wushen year, corresponding to 1848 AD. The bamboo has acquired a dark amber patina.